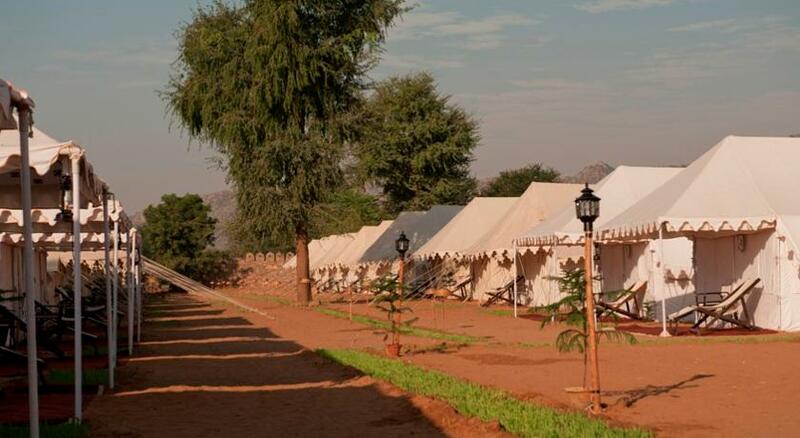 Royal Safari Camp has been running camps in Pushkar during the Pushkar Fair ever since past ten years. 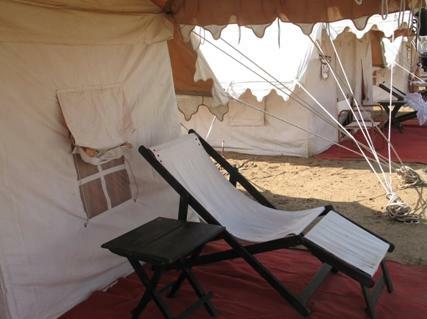 Almost 40 Non air-conditioned and 20 air-conditioned tents are pitched during the fair. 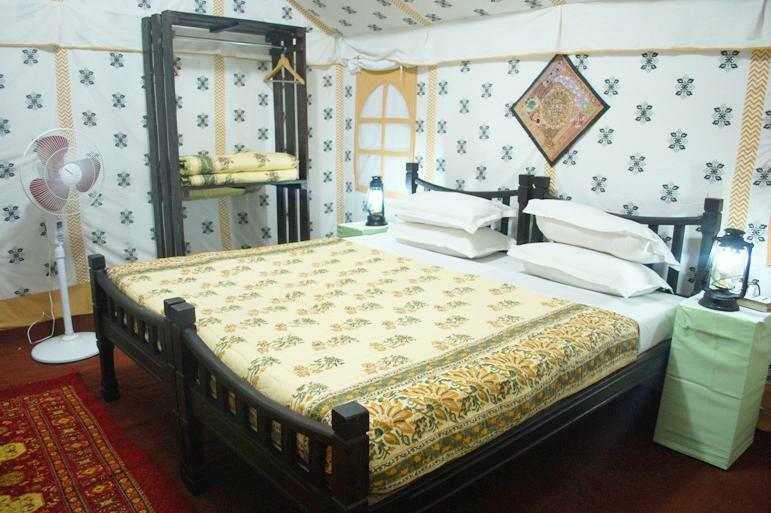 Located in the heart of Pushkar, this is one of the most sought after accommodation option. 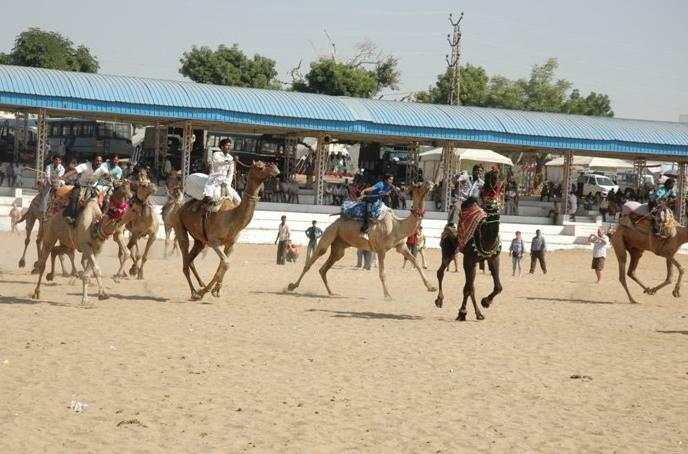 A camel safari is also organized by the camp into the golden sands of the west Thar Desert. The guests get a chance to see the amazing mix of the mountains, roses orchid and desert, all at one place. 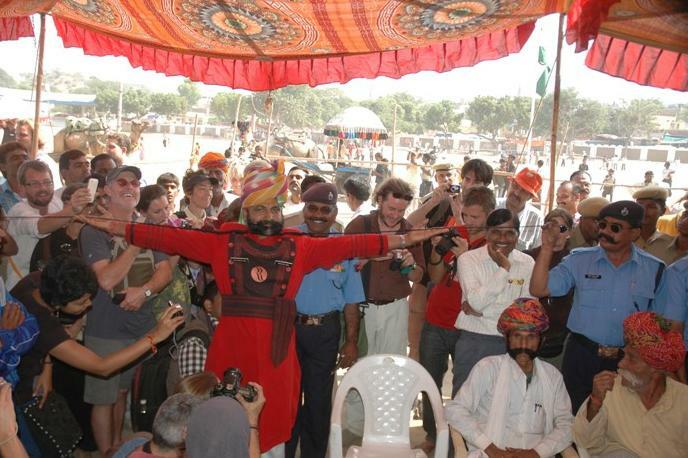 Apart from that, the stay at these camps is wonderful as all the required amenities are provided here. 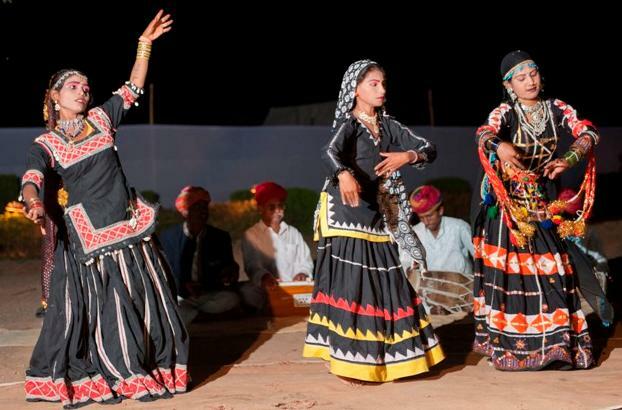 The guests can enjoy heart filling performances of the local dancers in the evenings. 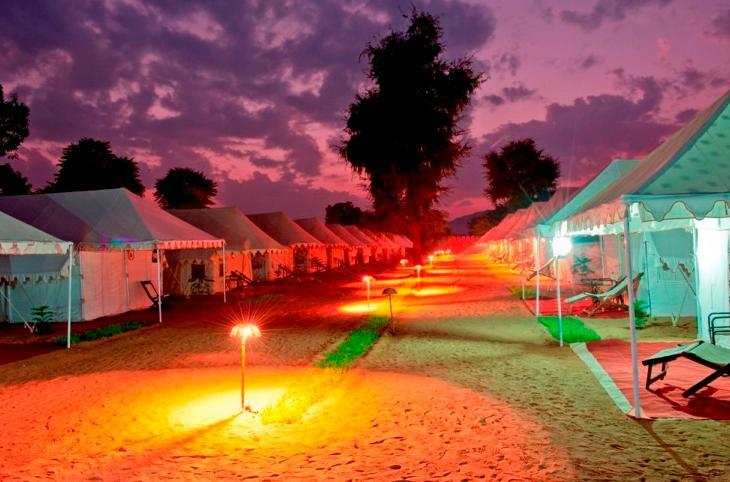 The camp also organizes a complimentary jeep or camel cart shuttle service that runs from 6 AM to 7 PM. The travel desk available at the camp will assist you in all your travelling related needs. 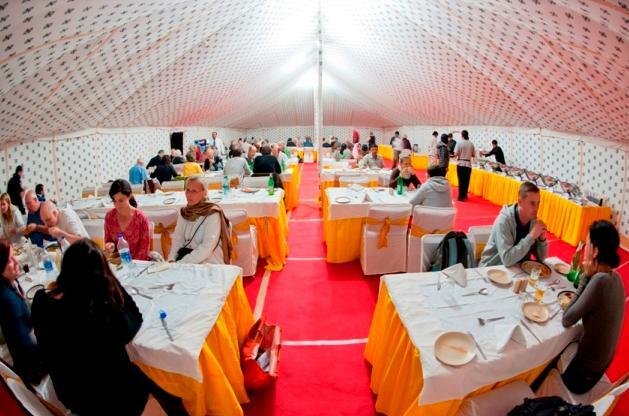 And of course, you get a chance to enjoy the wonderful Rajasthani cuisine cooked in traditional style and served in manner that will make you feel no less than a king at any time. 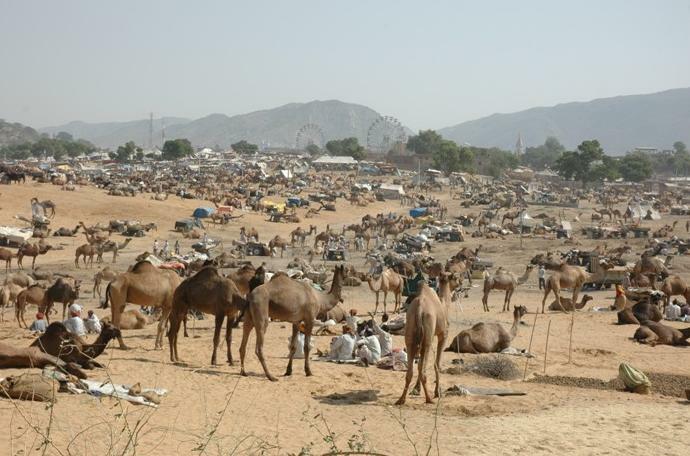 The non-air-conditioned deluxe Swiss tents are the perfect accommodations for all those people who wish to be a part of the famous Pushkar Fair. 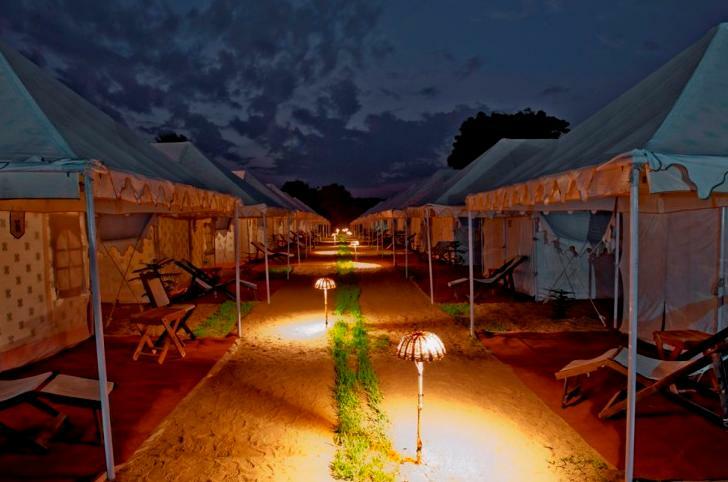 These tents offer state of the art amenities to the guests which ensure that they have a wonderful stay for as long as they are in Pushkar. 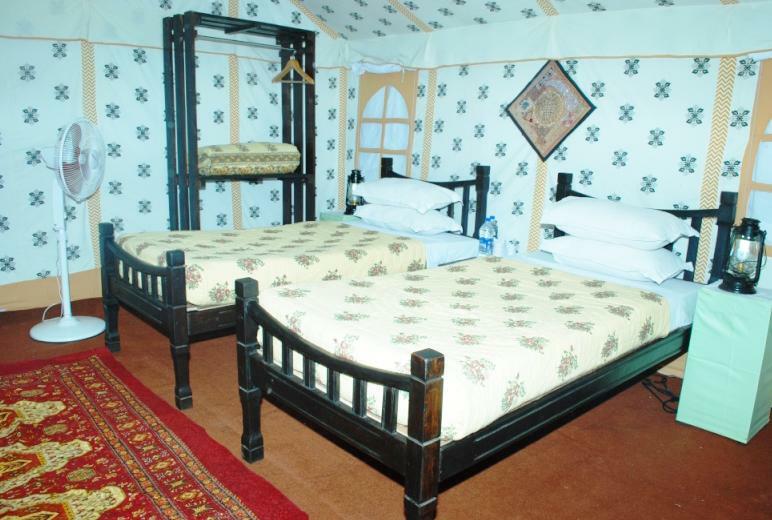 Some of the facilities available here are satellite television, refrigerator, STD/ ISD telephone, daily housekeeping, laundry service, attached bathroom with running hot and cold water supply, branded toiletries and more. 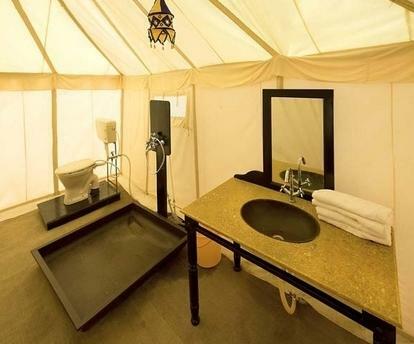 The air-conditioned deluxe Swiss tents by Royal Safari Camp are the perfect stay options for all those who do not wish to compromise on the modern day facilities. These tents are contemporary to look at and at the same time, are not away from the nature. Studded with modern day amenities like air-conditioner, comfortable double bed, satellite television, direct dial STD and ISD telephone service, daily housekeeping, attached western style bathroom with branded toiletries, round the clock hot and cold water supply, laundry service, and more, these tents provide absolute luxury amidst the sand dunes. The Royal Safari Camp sets a tent for the restaurant in the middle of the camp. 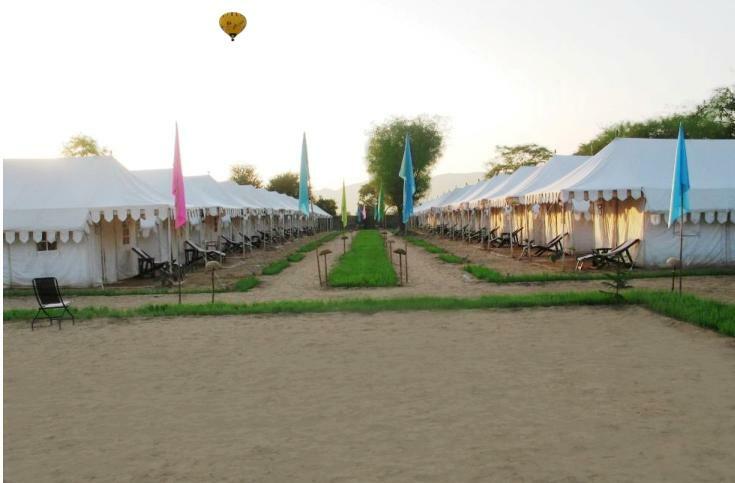 It is a perfect place for the traditional Rajasthani cuisine as well as the Continental and Chinese cuisines. Buffet breakfast, lunch and dinner is served to the esteemed guests. All the delicacies are prepared using the fresh garden vegetables grown on-site and other hygienic ingredients. It provides perfect view of the ground where the cultural programs take place in the evenings. Enjoying finger-locking food stuff in perfect ambiance and served by the most hospitable staff could never get better than this.